This book is the first in a series of seven. It sets the the foundation for the remaining six chronicles. Highly recommended. 5.0 out of 5 starsBest book series ever written! 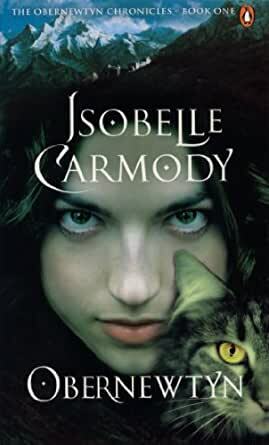 Isobelle Carmody started writing this series when she was only fourteen and it just blows my mind away how creative it is. The story line throughout the books is so complex and mysterious that it will leave you breathless. Make sure to read the whole series, Obernewtyn, The Farseekers, Ashling, The Keeping Place, (Wavesong U.S. only) The Stone Key, The Sending (not currently available in the U.S. and the last book in the series which will be released next year, The Red Queen. This books are truly inspirational and teach young girls to be strong. Thank you Isobelle for writing and inspiring me through hard times in my life. 4.0 out of 5 starsExcellent Read! I'm not a fan of post-apocolyptic books, but this one is amazing. I can totally see Isobelle Carmody's vision as a possible reality. When I picked up the second book in the series, The Farseekers, at my school library, I wasn't interested. I read Obernewtyn just because there wasn't much else that I wanted to read. I was reading The Farseekers the next week.